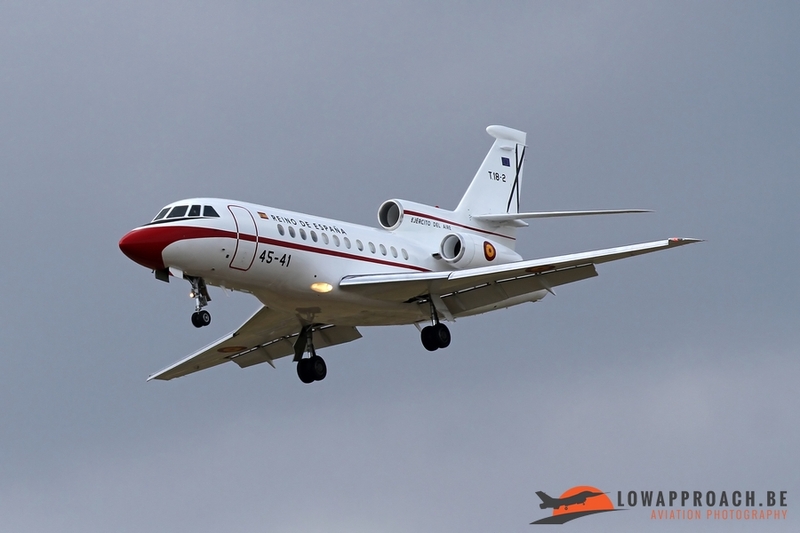 During our annual trip with the Low Approach team, we traveled to the surroundings of Madrid this year. During this five-day trip we also visited Torrejon air base at three occasions. 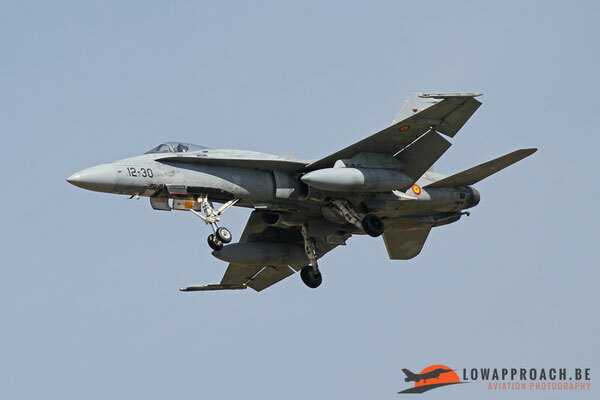 Torrejon is one of Spain's premier military airbases since its creation. 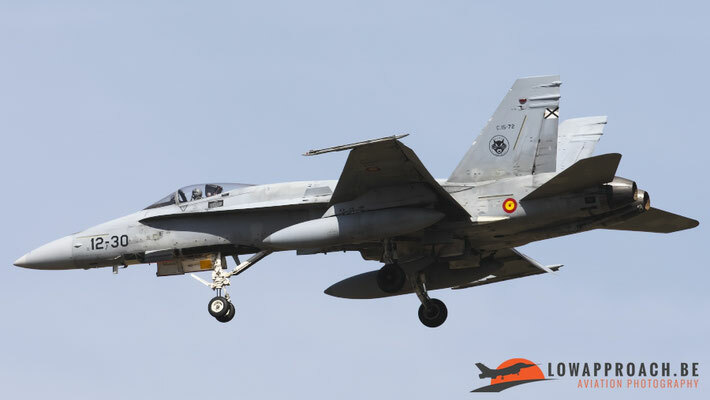 Torrejon Air Base is the base of a Spanish Air Force fighter wing, an aerial firefighting group and the flight test group of the Spanish Air Force. 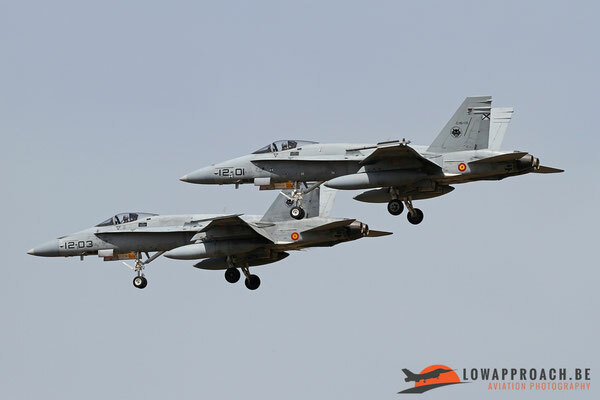 These three Spanish units were using the base jointly with the USAF. 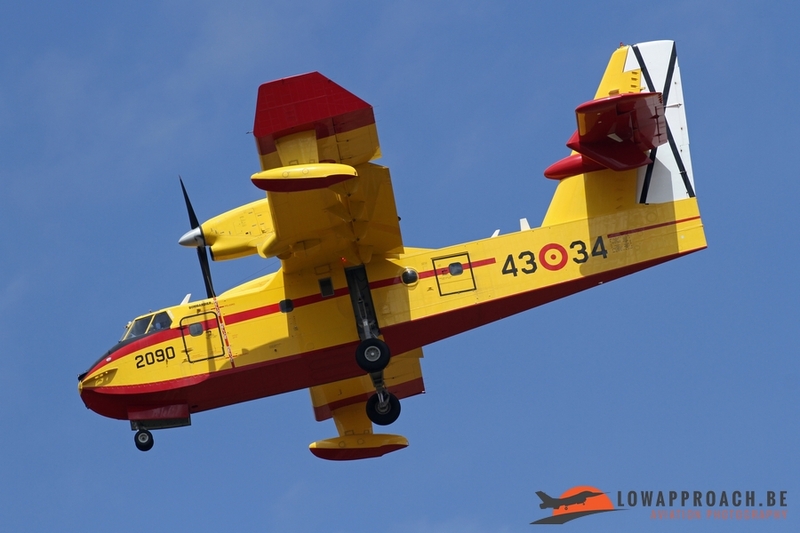 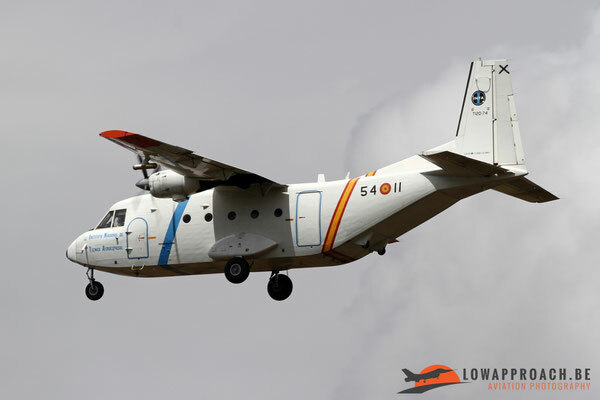 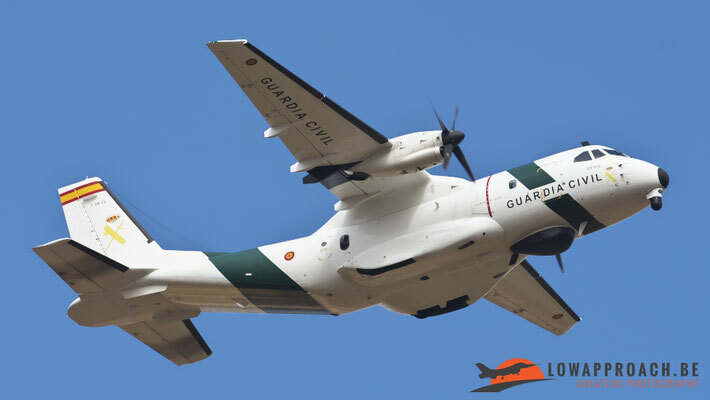 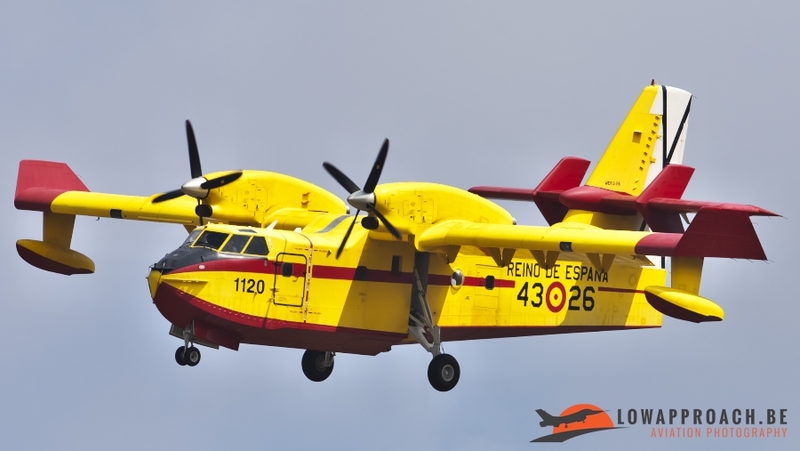 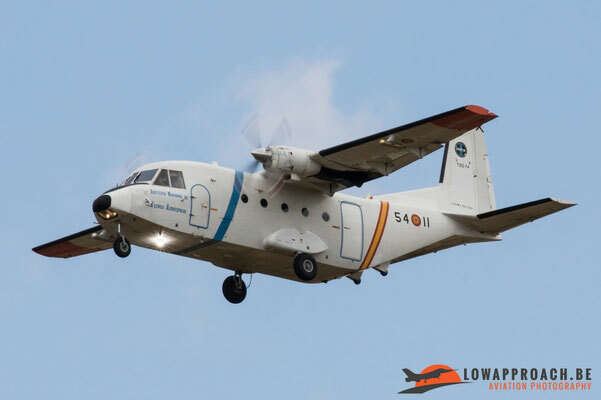 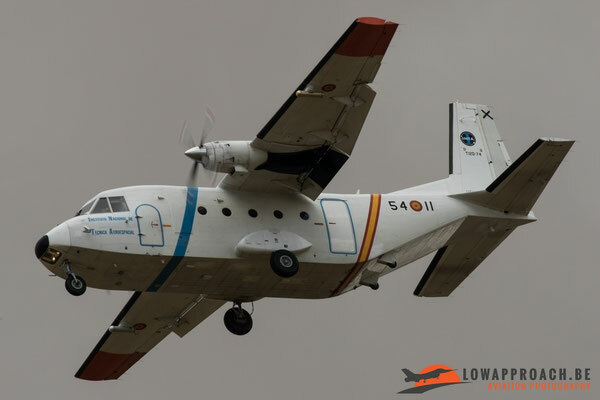 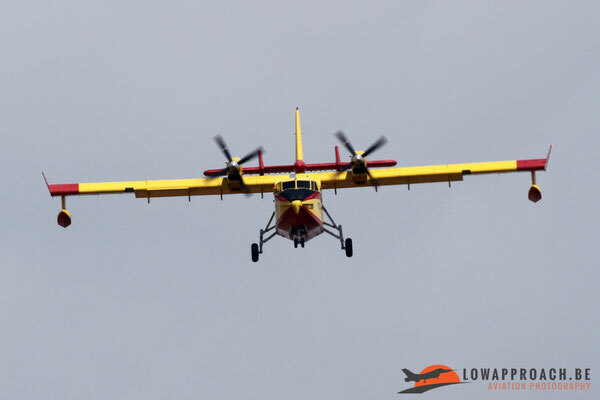 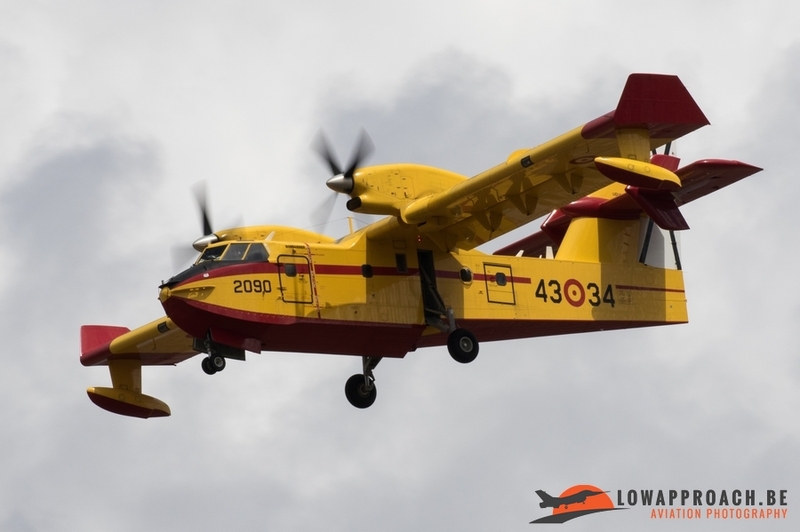 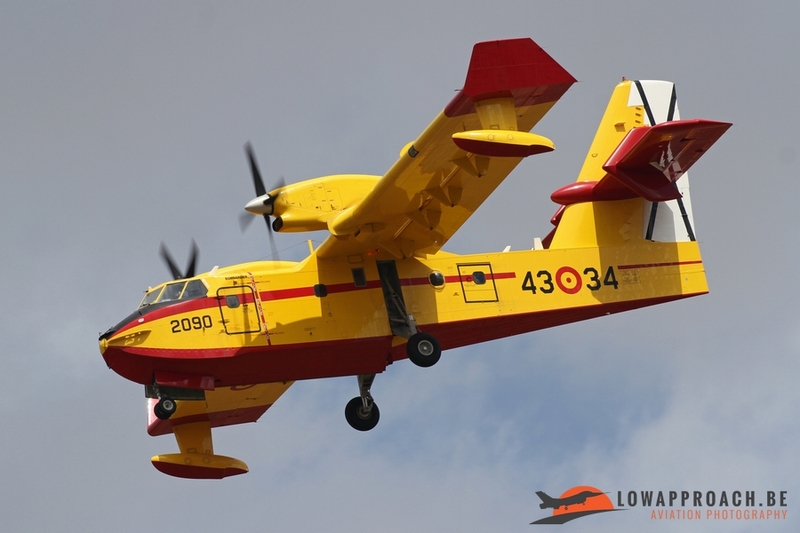 Following the withdrawal of USAF, Ala 12 of the Spanish Air Force, the 54 Flight Test Group and the 43 Grupo dedicated to aerial firefighting, which had always been based in the Spanish part of Torrejon Air Base, continued using the base. 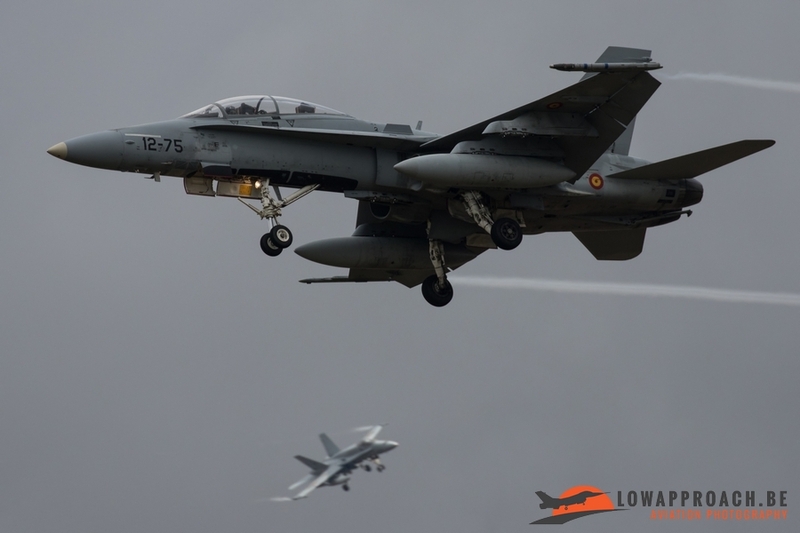 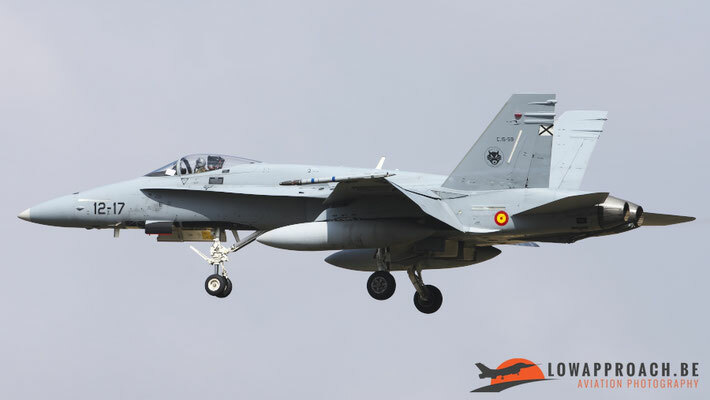 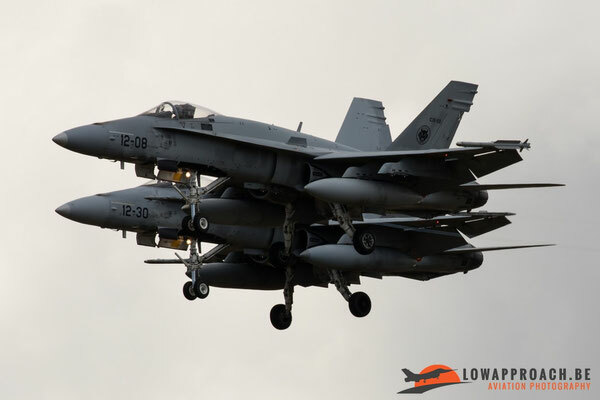 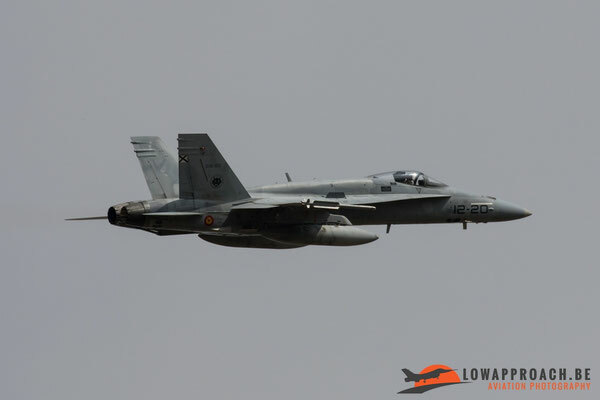 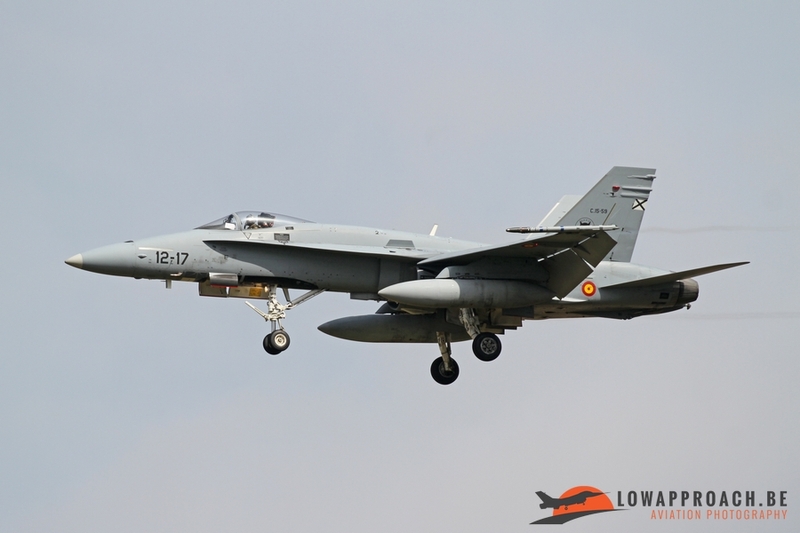 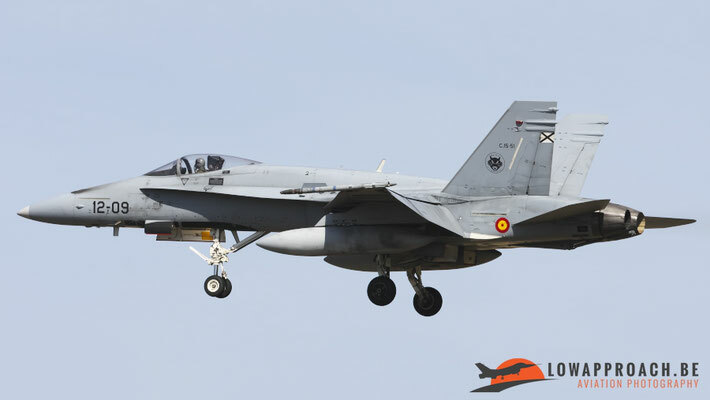 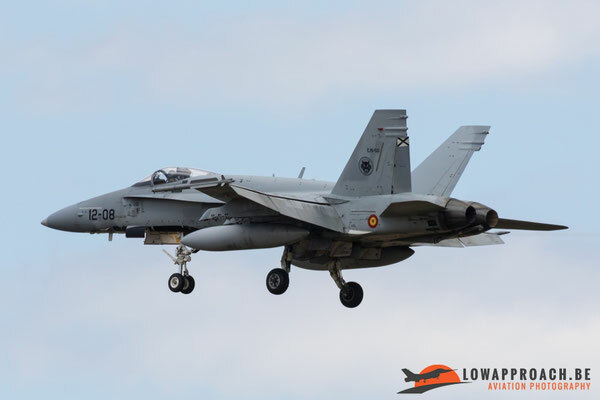 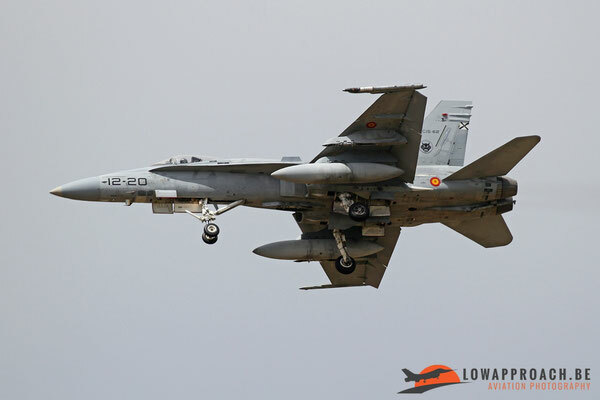 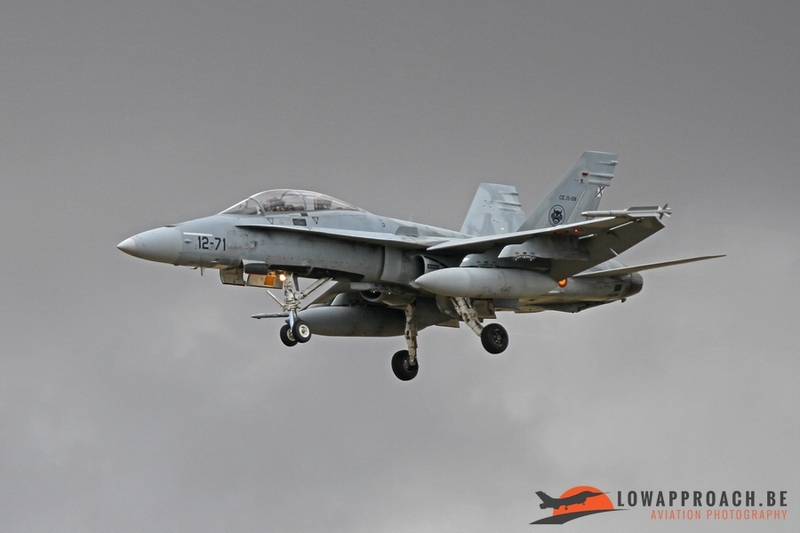 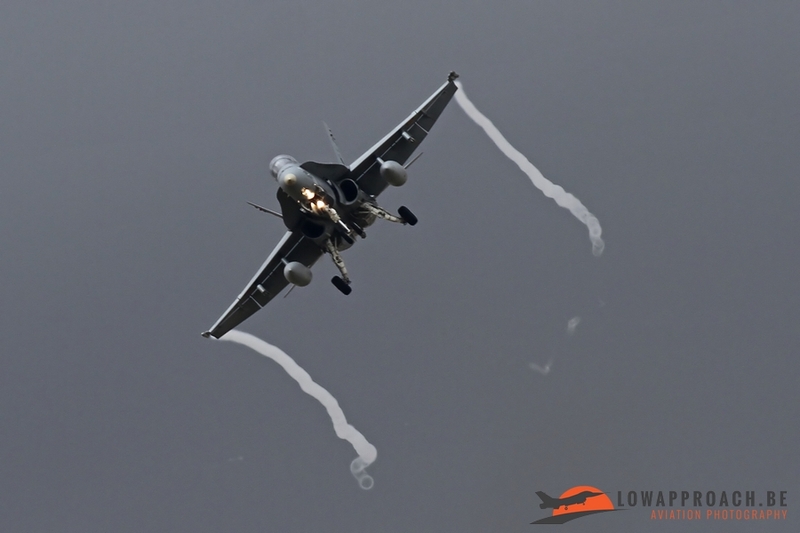 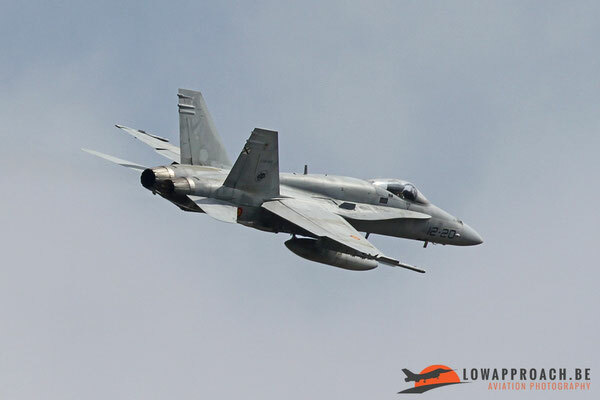 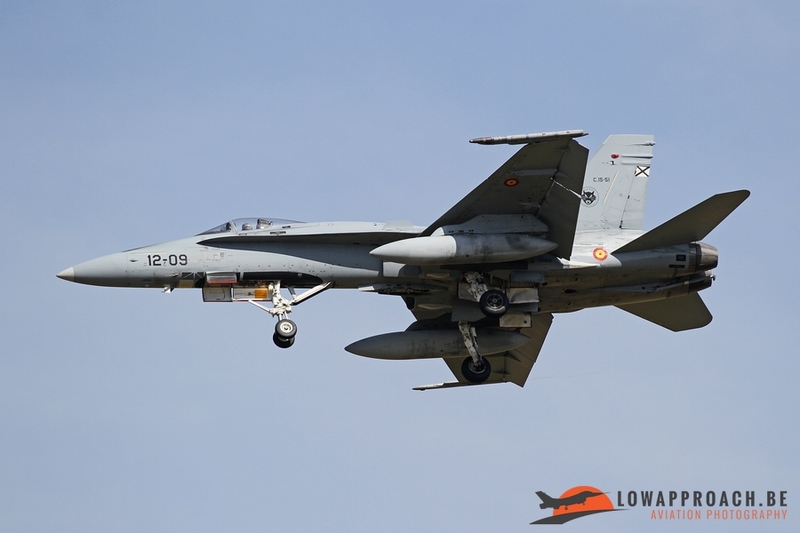 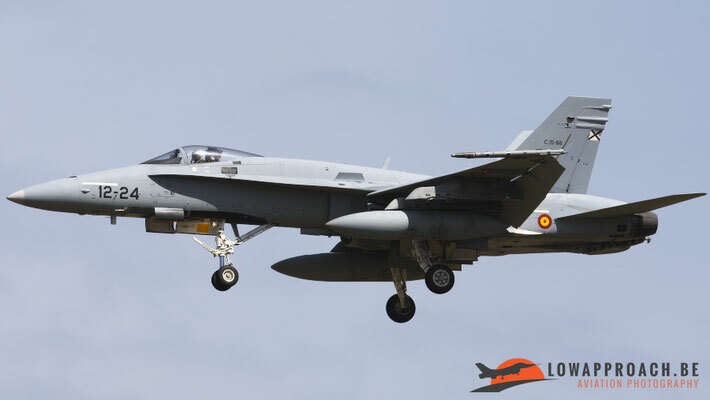 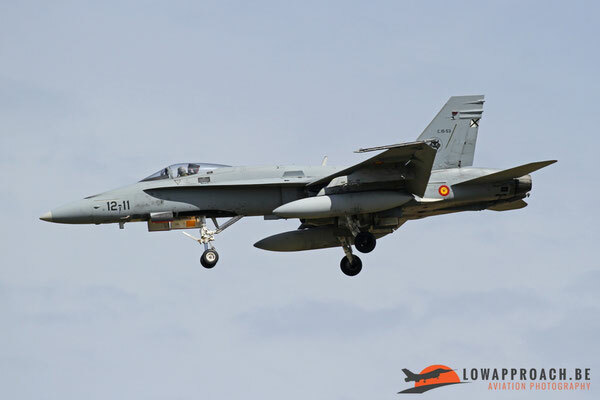 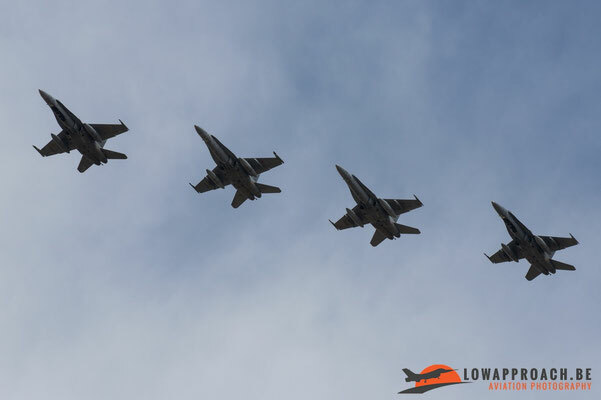 Currently the Ala 12 of the Spanish Air force operates two squadrons with McDonnell Douglas F/A-18 Hornet, the 54 Flight Test Group operates with a very diverse range of airplanes and the 43 Grupo operates with the Bombardier CL215 and the newer Canadair CL415. 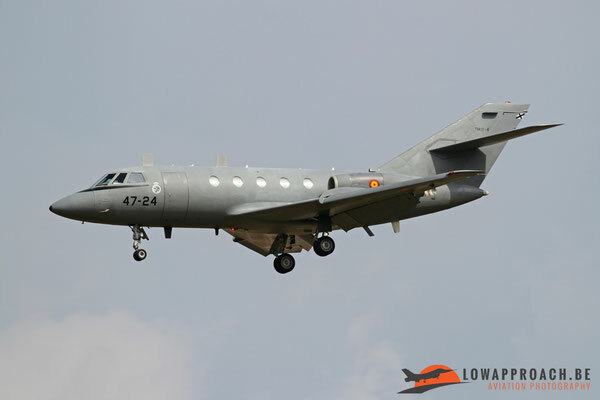 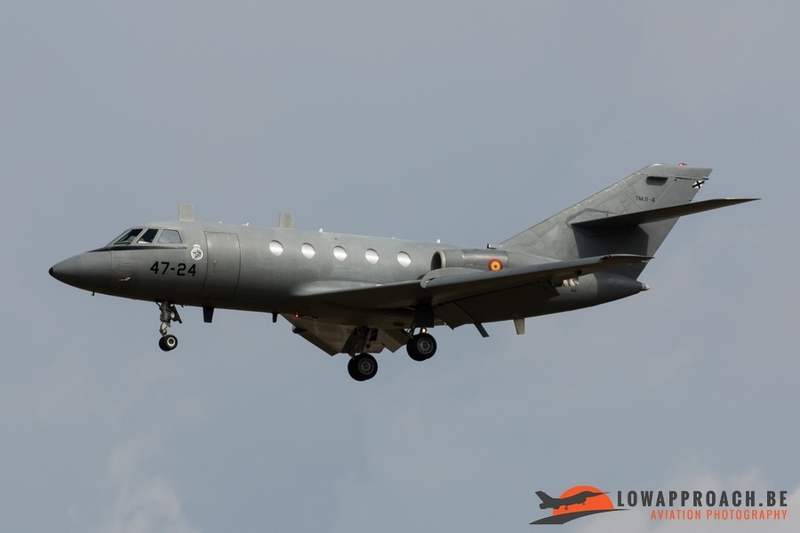 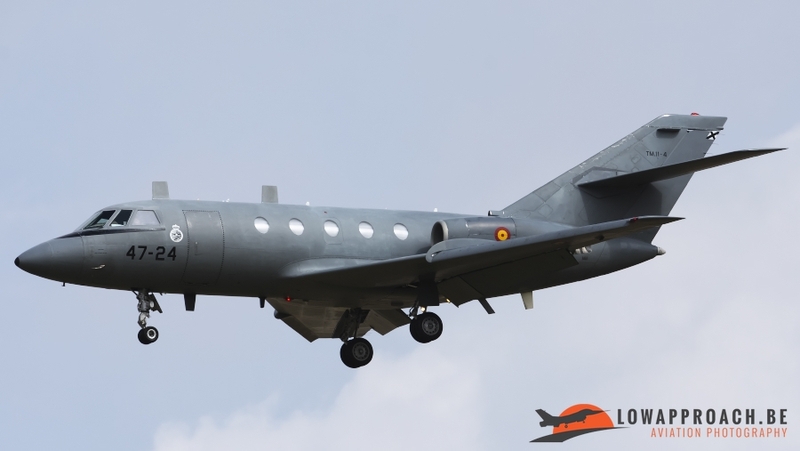 In order to fill the space left by the withdrawal of USAF, the Spanish Air Force moved into Torrejon Air Base additional following units: the 45 Grupo dedicated to VIP transport and 47 Grupo dedicated to electronic warfare. 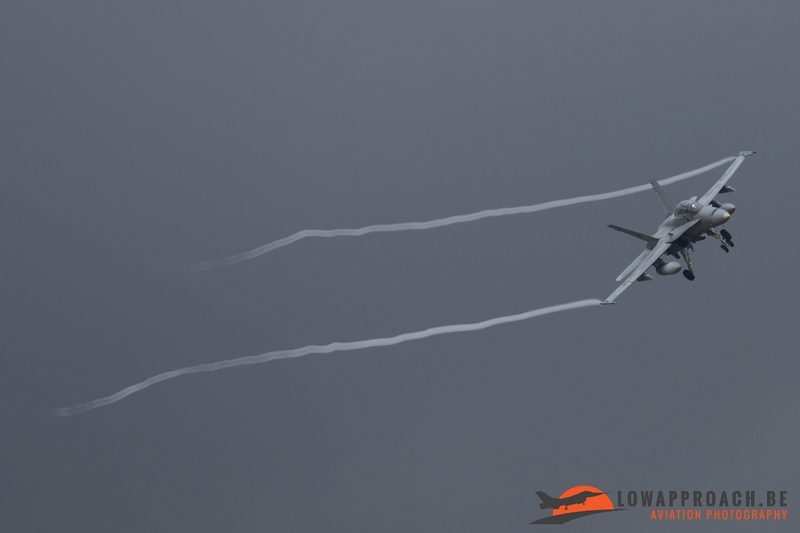 For our first day off spotting we had to find a place where we could make good pictures. 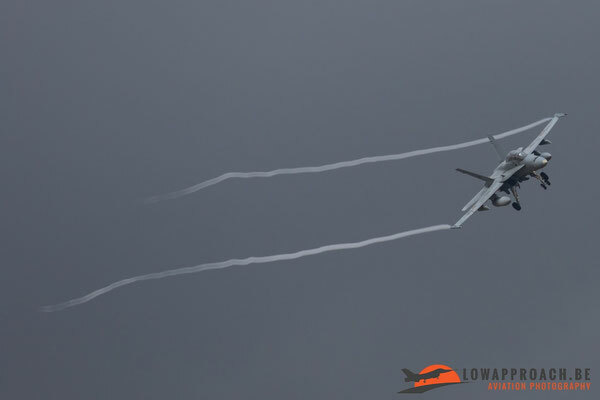 The wind came from the west so it had to be near runway 22 after driving around we found a good place where no one bothered us. 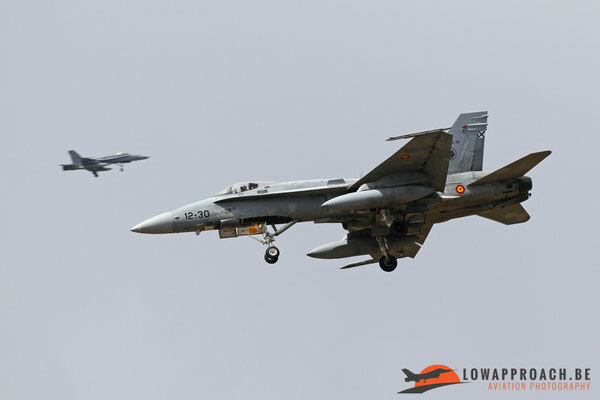 It was a very hot day, in the morning there was some activity but no more movements in the afternoon. 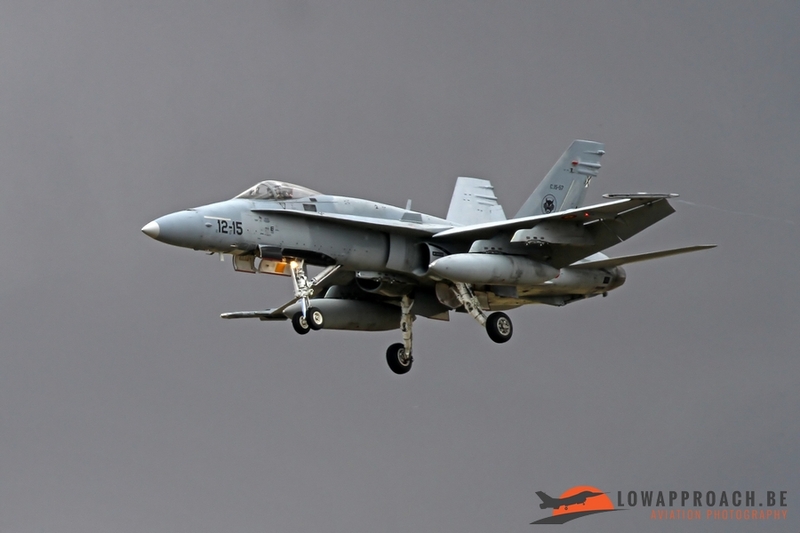 The first day we ended up with EF-18 M/BMs, we also saw two visiting Tornadoes take off but unfortunately we could not see from which country they were. 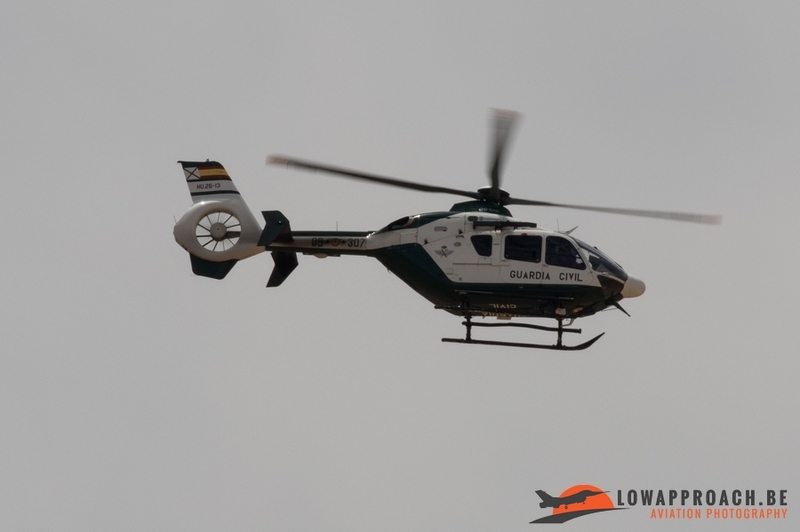 Also, some of the Guardia Civil Eurocopter EC135P2+ helicopters flew, but quite far away from us. 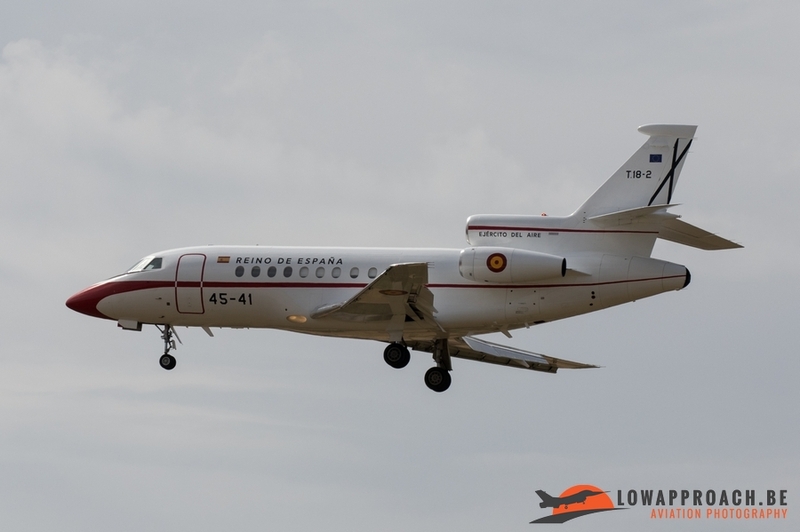 Our second visit was late in the afternoon after our visit to the beautiful museum of the Spanish Air Force at Cuatro Vientos, but there was only a 451 Squadron Dassault Falcon 900 that made touch and go's. 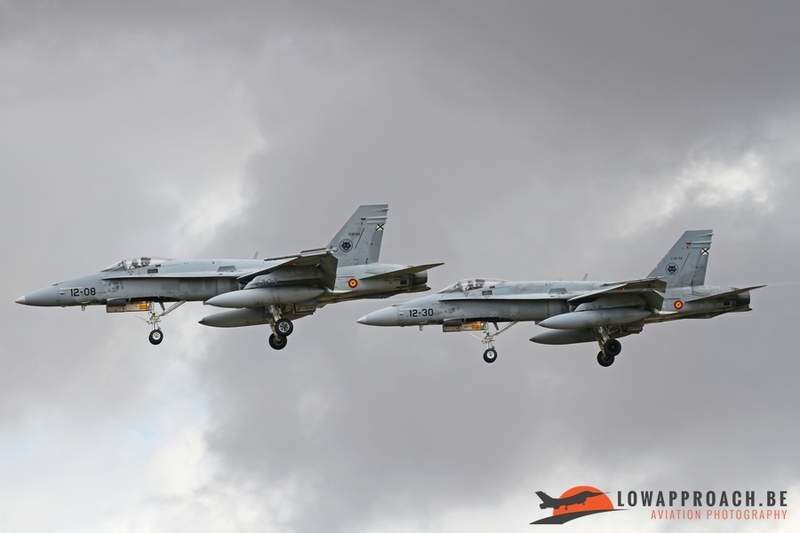 Our third visit was after a refreshing thunderstorm that broke out over Madrid overnight. 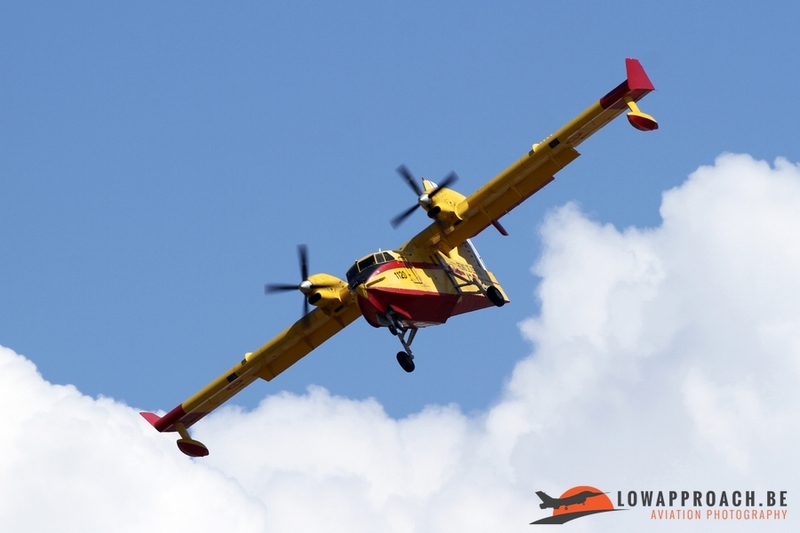 After this nightly refreshment, the crews apparently wanted to fly and this was our best day to list some new aircraft serials and to take pictures. 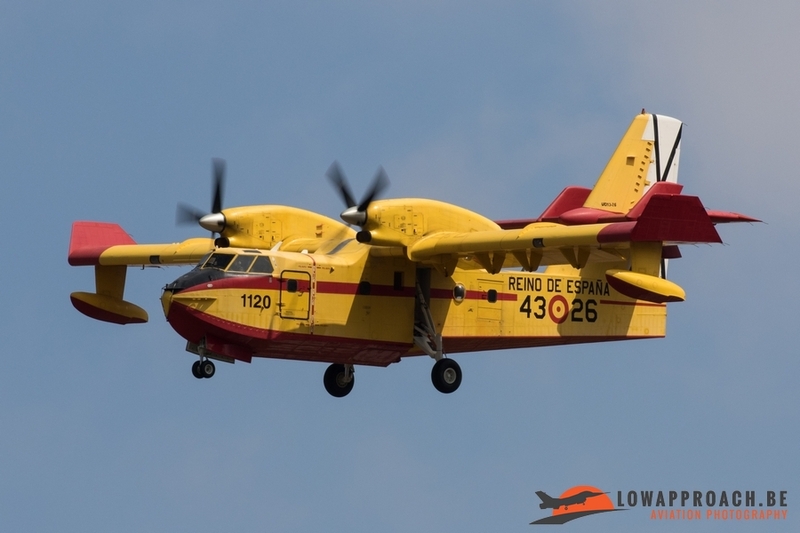 After the EF 18 Hornets it was time to see some other types, we saw two different types of Grupo 43 with both the CL215 and the CL415 that are used for fighting forest fires. 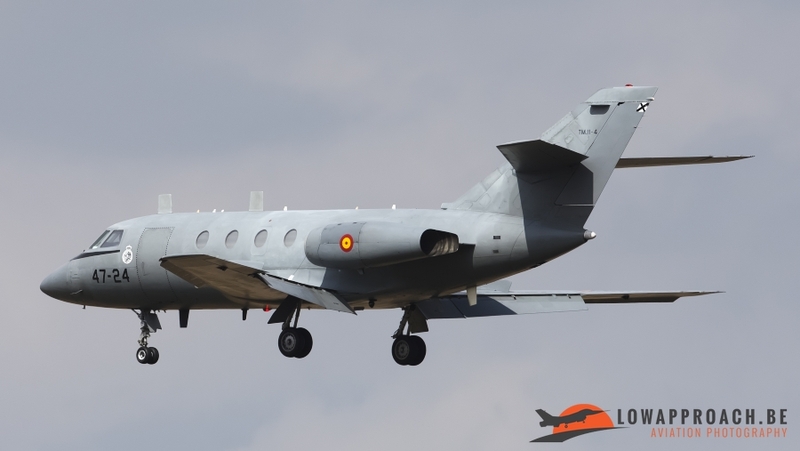 In addition a Dassault Falcon 20E from Grupo 47. 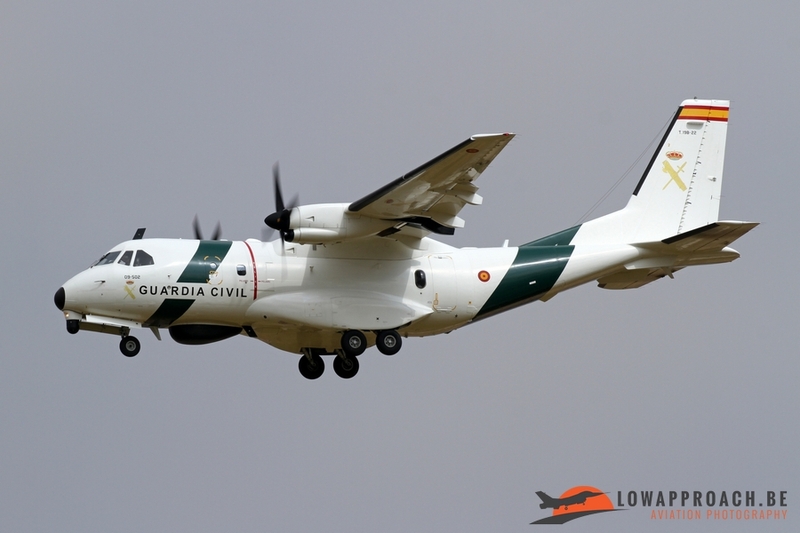 The Guardia Civil pilots also wanted to fly and picked up one of their CN235M VIGMA to make some touch and go's. The CASA C212-200 from Grupo 54 / CLAEX or the Instituto Nacional de Technica Aerospacial was also a nice surprise on this day. 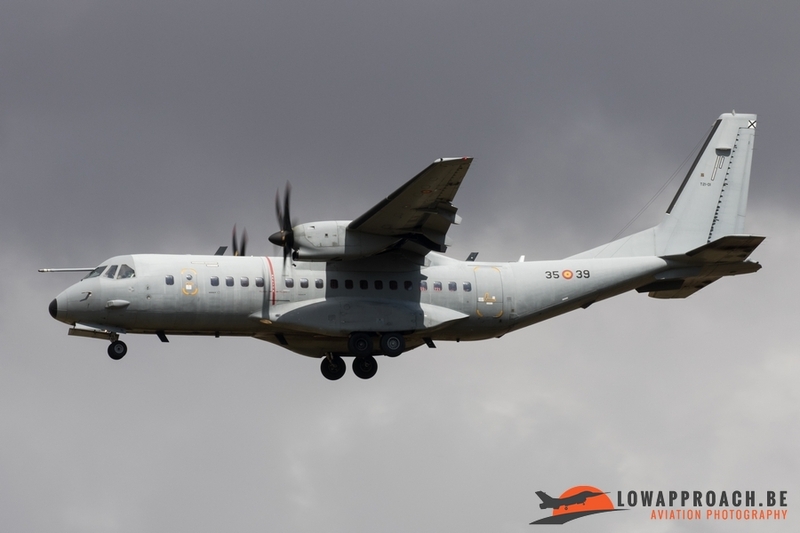 Finally there was also a visitor in the shape of a Casa C295M from ALA 35 from Getafe.